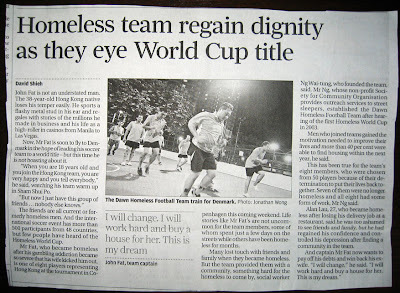 The Fifth Homeless World Cup kicks off today in Copenhagen. We can almost, almost feel the vibe. Teams waving their flags, singing, cheering, dancing. Crowds lining the streets. Crowds filling the stands, roaring, applauding. Few tournaments are as life-changing. It’s been nearly a year. We’re still not over our post-Cape-Town high.